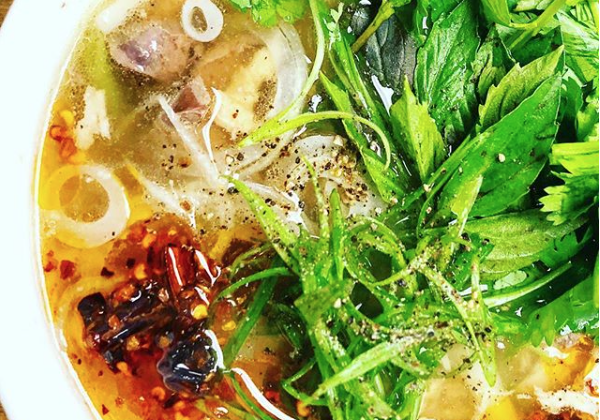 Is the next hot Asian cuisine in Chicago going to be Lao? There’s a certain Lao population here, a couple of restaurants in somewhat obscure suburban locations (Burbank, Elgin), and more to the point, a few younger Laos with a burning drive to tell their food story, like Friend of Fooditor Keng Sisavath of Strange Foods Festival fame. At the Dining Out Loud podcast Michael Nagrant and Penny Pollack visit Twain, which they find a mixed bag, objecting to ants on a log not being reimagined enough, but suggesting that its hearty food might find a receptive audience in the dead of Chicago winter. I’m surprised, though, when they talk about the decor and the lights that look like bloomers on the ceiling, that neither recognizes that it’s by Jordan Mozer, who was such a name on the Chicago scene (Vivere, the Hancock Tower Cheesecake Factory) in the same era as Jerry Kleiner, formative years for Nagrant and prime time at Chicago mag for Pollack. And yes, he also did the bloomers on the ceiling at River North’s Oak & Char. The Feed delves into a fascinating subject that I don’t think anyone has ever done before: how restaurants pick their soundtrack, and how it affects the diner experience. Besides Rick Bayless talking about his own choices for his restaurants, they talk to a couple of professional playlist-makers about how it all works. Kitchen horror stories are always a Halloween perennial and these, at the Trib, are pretty good. I’m totally ordering cork-hage at Bar Biscay next time. Taking a long flight to go eat in Asia? You seem like the perfect audience for a three-hour episode of Tim Ferriss’s podcast talking to Nick Kokonas of Alinea Group. Many paradigms will be shifted and many industries will be disrupted! Steve Dolinsky pizza news: the intro to this Takeout piece is oddly blustery about tavern cut being the real Chicago pizza, man, which we all know already, but eventually it’s an interview with him about Chicago pizza. Meanwhile he did an event for Culinary Historians of Chicago, and you can listen to him talk more about pizza here. I am a big advocate of Chicagoans eating in Milwaukee and I need to start doing the same for Detroit, among other places within a drivable distance. Anyway, here’s a cheat sheet from Ben Hall of Russell Street Deli at Bon Appetit, some new trendy places, some great-sounding classics (of which I’ve only been to one, Lafayette) and middle eastern spots. 16. RETURN TO SINGH, A.
Alpana Singh made her return to Check, Please this week, and she looked like she knew what she was doing as three guests checked out Tied House, Dos Ricco’s and Go 4 Food. • Tour de Steak is the name of a an all-star-chef event coming to GT Prime on November 7, in which five chefs will do steak in a different cultural style—Japan by Grant Achatz, Mexico by Diana Davila, Italy by Tony Mantuano, Argentina by John Manion, and finishing up American-style with Andrew Pingul and Giuseppe Tentori. Go here for tickets. • The Aviary’s elaborate cocktail book will have a release party on November 5; go here for tickets. • And Michael in Winnetka is getting the Banchet back together with a group of chefs who worked at Le Francais: Michael Lachowicz, Patrick Chabert, Roland Liccioni, Christopher Koetke, Marc Grosz and Matt McMillin for a five course dinner of Le Francais classics. Get the details here. 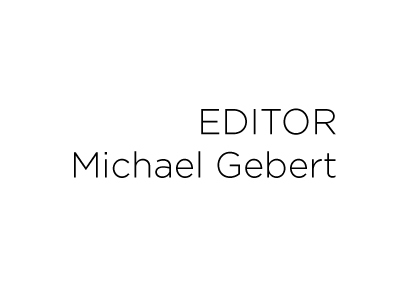 I’m hard at work on the new edition of The Fooditor 99, the most independent, the most wide-ranging, the least French guide to our food scene out there. And that means it’s a great time for you to become a Patreon supporter of Fooditor, because levels of $5 a month or more get an autographed The Fooditor 99 with a special bonus #100 exclusively for supporters of independent food media in Chicago. And even if you don’t choose to support at that level, your $1/month or $2/month patronage helps keep us going and shows the world you believe in Fooditor’s hungry, hungry mission. So please, go here, support us at the level of your choice, and reserve your Fooditor 99 when it comes out after Thanksgiving. I needed to pick up something that would hold for a few hours for Kid #2… and I was on the south side… and Dia de los Tamales had just closed for good. So I finally went to Yvolina’s Tamales, just down 18th street, which I had tried to visit once right after Chicago mag wrote about them, but the line was out the door. What’s distinctive about them is that they don’t use lard, instead making the masa with olive oil. Alas, I felt like that made them drier, not as lush as tamales should be… with one exception: a chicken one, soaked in chicken broth, was terrific. So start there. Anyway, it’s a cute place, I might come back for a sitdown meal and see what else is good. What had me in that area for lunch was that I wanted to check out the mysteriously Michelin-approved but otherwise largely unheralded Daguan Noodle on Wentworth in Chinatown. I ordered their standard soup, which turns out to be a bowl of chicken broth and a tray of meat, veggies, mushrooms etc. which is dumped into your bowl before you even have a chance to look at it and know what you’re getting. (I also ordered xiao long bao, soup dumplings, but got fluffy pork bao, so either they misheard or the name means something else to them.) The broth was very good—best chicken soup south of Manny’s, maybe!—and the noodles and meats were very high quality, so for its type, it’s top level. Is it one of the two best places to eat in Chinatown, along with fellow Bib Gourmand Ming Hin? I’d say it fits Michelin’s criteria of a high quality, hard to screw up experience that won’t surprise anybody, but my first choice of where to send somebody would still be Slurp Slurp for chewy noodles or Dolo for dim sum or a couple of other places that seem more interesting to me. But I’d come back here for soup… if I had a cold.